Five new queens received crowns during pageant festivities at the 2018 Maine Potato Blossom Festival. 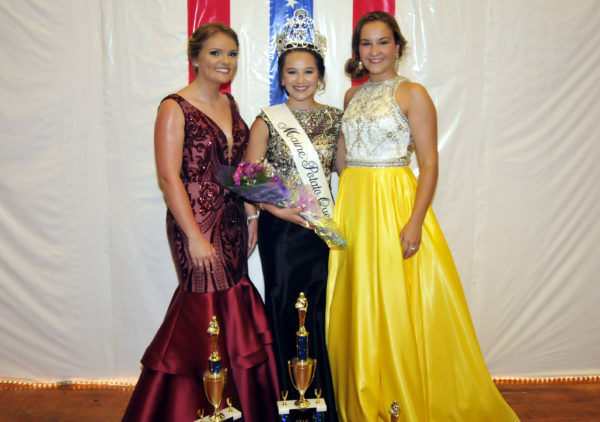 FORT FAIRFIELD, Maine — Five new queens received crowns during pageant festivities at the 2018 Maine Potato Blossom Festival. Chloe Wheeler of Mars Hill earned the title of Maine Potato Queen. She is the daughter of Mitch and Allison Wheeler. Mackenzie Conroy of Caribou was first runner-up and Emma LaJoie of Van Buren was second runner-up and Miss Congeniality. 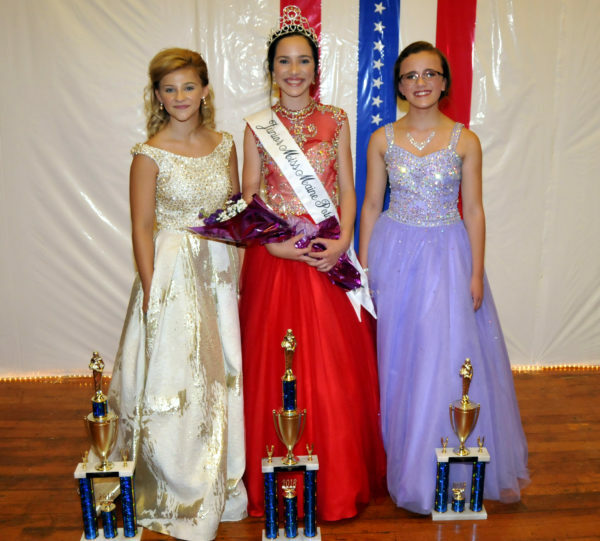 Paige McHatten of Mapleton, daughter of Matt and Kelly McHatten, was crowned Teen Miss Maine Potato Queen. Taylor Hedrich of Presque Isle was first runner-up and Kearstin Coty of Caribou was second runner-up. In the Junior Miss Maine Potato Queen category, Kira Rogers of Fort Fairfield, daughter of Shawn and Heather Rogers, won the title. First runner-up is Renee Lapointe of Van Buren, with Danica Haskell of Presque Isle as second runner-up. 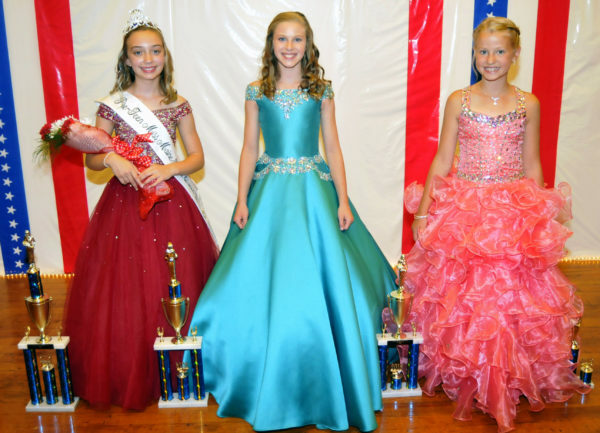 The new Pre-teen Miss Maine Potato Queen is Madelynn Putnam of Presque Isle, daughter of Cole and Kristina Putnam. First runner-up is Macy MacLean of Ashland, while Lauren Lister of Caribou was named second runner-up and Miss Congeniality. 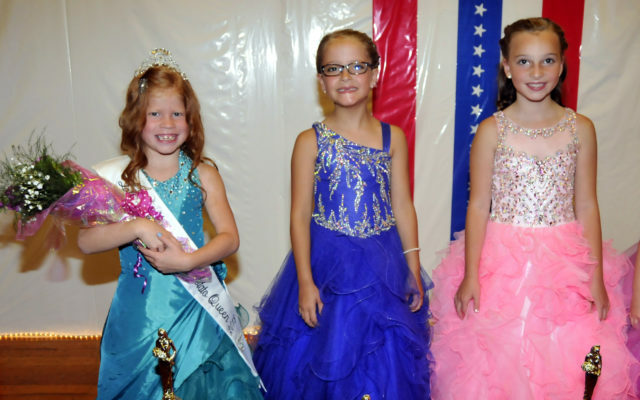 Crowned the new Little Miss Maine Potato Queen was Brigid Schupbach of Fort Fairfield, daughter of Edward and Katherine Schupbach. 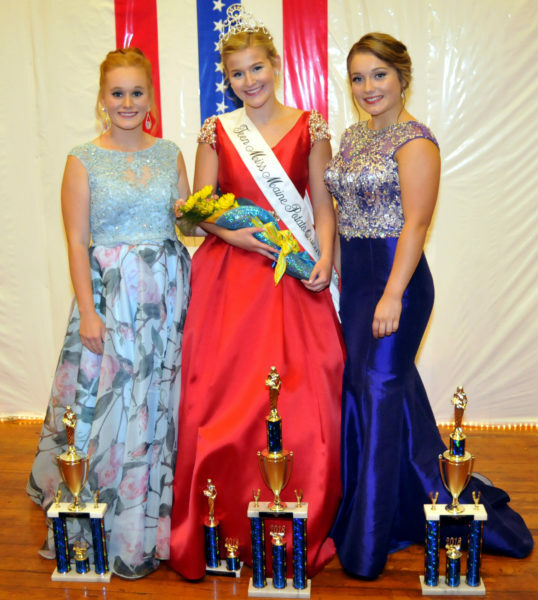 Molly Kinney of Mapleton was named first runner-up and Miss Congeniality, and Sara Cassidy of Easton is second runner-up.